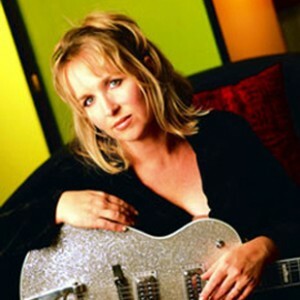 For acclaimed singer/songwriter Gretchen Peters (who has written hits for George Strait, Faith Hill and Martina McBride), collaborating with Bryan Adams on the soundtrack of Dreamworks’ new animated movie, Spirit, Stallion of the Cimarron, represents a combination of returning to familiar territory with the challenge of exploring new horizons. Spending many of her formative years in the Boulder, Colorado area, Peters welcomed Adams’ invitation to help write the songs for the soundtrack of a movie that recounts the history of the West as told from the perspective of a horse (“Spirit”). Subsequently, “Independence Day” was nominated for a Grammy award in 1995 and won CMA’s 1994 Video of the Year and 1995 Song of the Year. “Winning an award is really fun,” said Peters. “So don’t let anybody tell you that crap about just being nominated. I don’t remember a whole lot about the actual moment, because I was just trying to keep it together. But I saw tapes of the event afterward and I seemed pretty coherent. On the other hand, [the awards show] has a half-life of just a few weeks, and then everybody forgets who won and it’s over.” Notably, the original lyric sheet for the song is now on display in Nashville’s Country Music Hall of Fame. When co-writing with Adams, Peters said she focuses primarily on lyrics. “Bryan is more of a big-picture kind of person,” said Peters. “He writes big, pop songs. That’s what he does, and I think that’s why it’s fun to write with him. It’s like taking a breather for me.” Peters can’t say exactly how many songs she and Adams have penned together. She estimates the number to be somewhere between 25 and 30, including cuts from his albums such as “On a Day Like Today,” and “When You Love Someone” from the Hope Floats soundtrack, as well as Adams’ duet with Bonnie Raitt, “Rock Steady.” The pair also wrote “Inside Out,” the recent duet with Trisha Yearwood & Don Henley. Many of Peter’s own songs have become hits for country music’s elite performers. 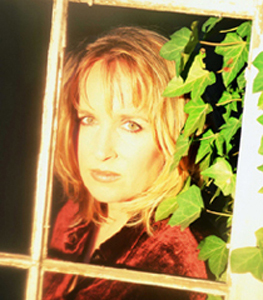 The Patty Loveless cut of “You Don’t Even Know Who I Am” was nominated for a Grammy award for Song of the Year in 1996. “Let That Pony Run” by Pam Tillis and Faith Hill’s “Secret of Life” both reached Top 5 on the country singles charts. She wrote the title cut for the Randy Travis album, High Lonesome, and “On a Bus to St. Cloud” was performed by Yearwood.